Airlines now allow smart device flight check-ins, car rentals use IoT to monitor their fleets and IoT-enabled luggage trackers make sure your stuff never gets lost again. Welcome to IoT for travel. The Internet of Things (IoT) refers to the growing assortment of connected devices—many of which you may already own. Industries from agriculture to entertainment could benefit from the possibilities IoT offers. Amazon’s smart speakers introduced the world to a virtual assistant called Alexa. With Alexa, you can order pizzas, book taxis and more. United Airlines now allows smart device flight check-ins via Amazon and Google Home smart speakers, plus the Fitbit Ionic smartwatch. You can also use the feature to find out about flight statuses or the amenities available during your journey. Airlines began offering advance online check-in services several years ago, and this improvement aligns with the increasing adoption of smart speakers in the consumer market. While soon-to-be vacationers are in the middle of doing last-minute essentials like packing their toiletries and writing care sheets for their pet sitters, the smart speaker feature is a quick and convenient way for them to get ready to fly. Once many people arrive at their destinations, they head to rental car outlets and get their temporary modes of transportation. Hertz is among the brands that use IoT to monitor their fleets. One service, called Hertz 24/7, allows renting cars by the hour with an accompanying app. The service even allows renting box trucks for transporting large items like furniture. Each renter gets a keyfob that works with a reader behind the windshield. It opens the car for the first time, then allows a person to get inside and grab the keys that are in the ignition. There are also voice services inside the cars that connect people to a centralized contact center in case they have any questions. It’s not difficult to see why advancements in IoT benefit customers and rental agencies alike. Services like the one Hertz offers allow people to rent cars at any time—not just within business hours. Plus, car rental brands can track vehicles if renters don’t bring them back by the agreed-upon time. If you’re a longtime traveler, you probably remember a time when booking a hotel room meant either calling the front desk before arriving or showing up and hoping for the best. HotelTonight is a website and app for hassle-free hotel room bookings looking to remove this obstacle to smooth travel. HotelTonight helps you embrace spontaneity by allowing same-day reservations along with the usual advance booking option. Some of the accommodation choices you’ll see in the app feature limited-time discounts in addition to the app’s already appealing offers. Their HT Perks program gives you even deeper savings after spending at least $250 on rooms booked through the app. Many people can’t imagine parting from their smartphones. According to a Pew Research Center study, 46 percent of respondents said they couldn’t live without their device. Besides keeping you in touch with loved ones, smartphones and apps like HotelTonight help you book hotel rooms quickly after browsing to see which one works best for the trip. There’s nothing like the heart-sinking feeling of realizing you made it to your destination, but your bags got lost somewhere along the way. Until recently, people in this situation were at the mercy of baggage claim workers, who usually couldn’t tell a frazzled traveler where a misplaced suitcase was and when to expect it back. Things have changed, thanks to IoT-enabled luggage trackers. For example, people can refer to the associated app and tell the luggage counter agent they can see the bags never got onto the departing plane during a Boston layover. Then, the airline professional can use this information as a starting point to track the bag and reunite it with the owner. For nearly $400, you can also get a Louis Vuitton luggage tracker that alerts you if someone opens your bag after you check it. 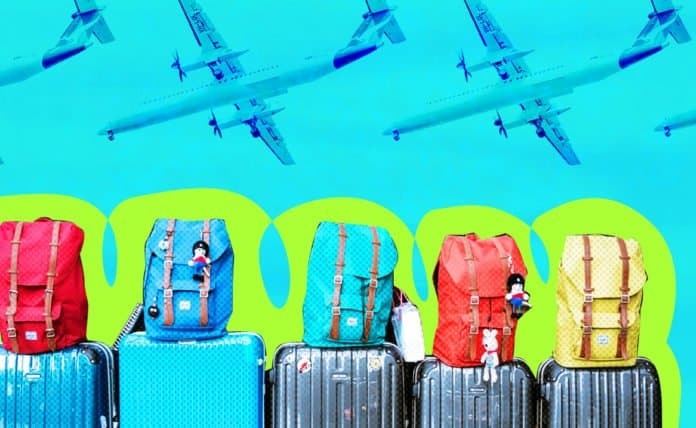 These solutions put the power in your hands to discover the whereabouts of your stuff, so you can spend less time wondering and more time enjoying your travel. Research shows motorists waste time, money and fuel looking for vacant parking places. Trouble finding one could result in you having to rush too much to catch a plane, park farther away than you want or pay a higher-than-average rate to park out of sheer desperation. However, the benefits of IoT parking technology assist travelers and parking lot managers alike. On the consumer side, a person could book a parking spot in advance, then get guided to the exact row and level of a parking garage. The companies that offer parking services could see metrics from IoT sensors that show the peak usage times, the average number of cars that enter and leave per hour, when a garage becomes full and more. The examples on this list show the numerous ways you could have smoother, more enjoyable travel by using IoT tech. Since so many brands and companies are exploring how they can help customers while supporting their bottom lines, you have plenty of options to ponder before making investments in connected technologies.